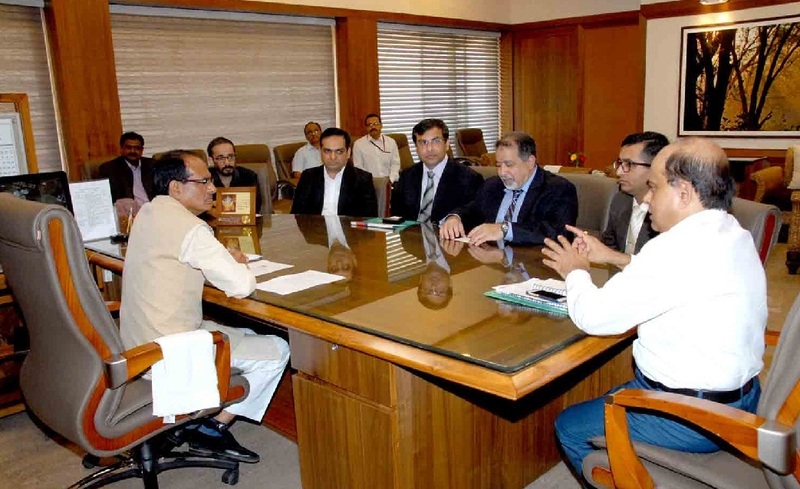 Bhopal: Carrying forward his regular meetings with investors, Madhya Pradesh Chief Minister Shivraj Singh Chouhan today met CEO and MD of Procter & Gamble home products Al Razvani and CE0 of Artisan Agrotech Deb Mukherjee here today. During his inetraction with the two industry top brass, the Chief Minister said that Madhya Pradesh offers condusive for the progress of industry. The State Government has put in place the single door policy to facilitate the industry, he added. On this occasion, Razvani of Procter & Gamble informed the chief minister that his multi-national company has invested about Rs. 2000 crore in Madhya Pradesh. The company proposes further investment of Rs. 3000 crore. Mukherjee of Artisan and Agrotech said that his company proposes to produce bamboo-based particle board and would be establishing an MDF unit. This will give permanent jobs to 3000 persons. He suggested that bamboo should be grown along the banks of rivers. This will check soil erosion. Principal Secretary to the Chief Minister S. K. Mishra and MD of TRIFAC D.P. Ahuja were present at the meeting.